Eight years ago I was a new Mom and I was feeling overwhelmed emotionally and financially. I was searching for ‘that thing’ that was going to bring me freedom and fulfillment! My journey took many twists and turns and the turbulence finally ended when I discovered I needed to be in control of my own destiny. I chose to become an Entrepreneur, but that was only the first step. I soon realized that being your own boss requires vision, discipline and a commitment to continually make the best possible use of your time. The chaos in my life quickly turned to calm and my life completely turned around- financially, emotionally and spiritually. Why did you start deborahlobart.com? I always knew from a young age that I wanted to help others. I got my degree in Psychology and many people often came to me for advice – whether it be in their relationships, health, business and life in general. I loved it, but never pursued it. Instead, over the last 8 years I built a successful network marketing business. It was a lot of fun! 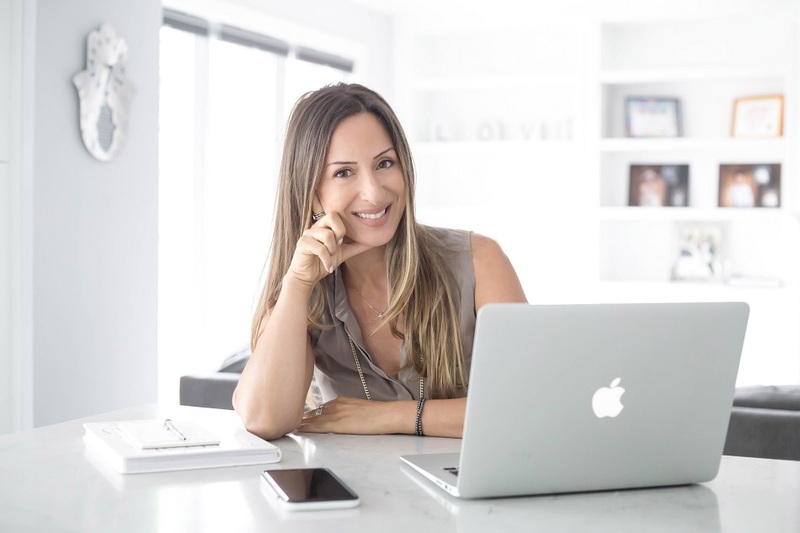 I was immersing myself in the world of personal development – knowing that the more I invested in myself, the bigger my business grew, however, something strange happened a couple of years ago where I started experiencing sudden symptoms and felt very unwell (which thankfully, are just a memory now). This experience made me reevaluate what I was doing and how I wanted to spend my time moving forward. This is when www.deborahlobart.com was born. As a lifestyle coach, I have an opportunity to share my life lessons. I want to impact millions. I believe everyone has greatness within them and deserves to live a ridiculously fulfilled life! As you know, we are starting a 60 Day Fitness Challenge on October 1st- what advice would you give someone who wants to make sure they follow through with the challenge? I would recommend having a daily mindset practice. Spending the first few minutes of each morning setting an intention for the the day. What are your goals? What will you be eating? Will you be working out? If so, what time & what will they be doing? When we are crystal clear about what we need to do (& WHY), our mind goes to work to make it happen. What are some tips people can use for gaining control of the stress in their lives? Better time management. Most people have enough hours in the day to do everything they need, but waste time on tasks with little importance (i.e., social media). I suggest scheduling everything in (that means work AND play, as they’re both equally important)! What gets scheduled, gets done. Also, be sure to schedule what’s TRULY important. It’s okay to say no to things. Set boundaries. Usually those that say yes to everything, have very chaotic lives. More balance = less stress. Do you think there is a link between entrepreneurship and fitness? Absolutely! Health should be a #1 priority for every entrepreneur. When you feel healthy, you have more energy and you get more done! Sadly, it is quite common to see entrepreneurs place their fitness last because they believe they don’t have time. It’s no wonder many entrepreneurs burn out. Top performers take care of themselves. They schedule their work outs just like they would a doctors appointment – just as urgent. Who are some of the best leaders you’ve met and why do you think they are great leaders? I’m in awe of Tony Robbins. He changed my life and my way of thinking. He has a massive heart and cares deeply about the well-being of others. I think that’s one of the most important character traits of a remarkable leader! What is your #1 health and wellness tip? Finding joy in the present moment because the quality of our emotions effect our health. If we’re experiencing frustration on a daily basis – this will negatively impact how we feel! Most people associate health & wellness with working out & eating healthy, but neglect the inner journey that needs to be explored in the process too. To truly be healthy, we need to work from the inside out. So choose happiness. Choose gratitude. Choose love. We can choose how we want to feel. It’s that easy. This is just a snippet of Deborah Lobart’s wisdom and motivation! If you want to learn more, you can visit her website, deborahlobart.com and download her free e-book, “Chaos To Calm.” You can also join her Facebook community, “Awaken Your Inner Greatness“, where she shares tips, tools, and strategies to tap into your inner greatness and live your best life!